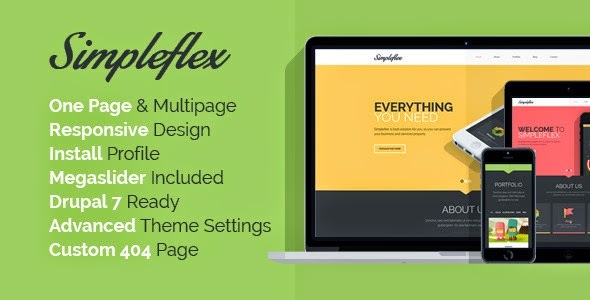 Simpleflex is a premium, creative, ultra-responsive, and retina-ready Drupal theme, that offers you one page and multi-page layouts with the latest and most powerful features. Its uniquely flat design, beautiful parallax effect and dynamically smooth animations provide you a simple and modern look on all devices. Item Reviewed: OnePage & MultiPage Flat Drupal Theme 9 out of 10 based on 10 ratings. 9 user reviews.